Dr. Rakhi Porwal is a renowned Dentist in Yeshwant Niwas Road, Indore. She has had many happy patients in her 7 years of journey as a Dentist. She is a qualified PGDHHM, FACD, BDS . 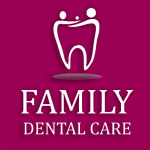 You can meet Dr. Rakhi Porwal personally at Family Dental Care in Yeshwant Niwas Road, Indore. Don’t wait in a queue, book an instant appointment online with Dr. Rakhi Porwal on Lybrate.com. Lybrate.com has a number of highly qualified Dentists in India. You will find Dentists with more than 30 years of experience on Lybrate.com. Find the best Dentists online in Indore. View the profile of medical specialists and their reviews from other patients to make an informed decision. Mujhe teeth main problem hai Mere samne ke teeth m ek teeth thoda tuta bhi hai,kya wo ek jaise ho skate hai? Or teeth ki safai bhi ho skti hai? please kindly ans me. Hello lybrate-user. Both d things are possible. Dental me bht miracle hote h. Visit your dentist. Asap. How we will manage our teeth while they are so smelling and very colour ful and looking very bad. First we should go and get your teeth out of infection as smell from mouth and yellowish brown stains on tooth is mainly because of improper brushing and infection.